Why do we open gifts at bridal showers? It seems like there is a weird shift that happens at some point because I feel like 98% of us are raised with the thought process indoctrinated in us that we don’t open gifts at parties. We don’t talk about gifts, we don’t ask where our gift is, we ignore the gift as we see our friends and family walk in with them; it’s like we have an uncomfortable relationship with gifts as kids. We love them and they are exciting but then we have to treat them as if they are fast food…something we love in private but have to tell the world we don’t like. But then suddenly we grow up, get engaged, and then talk freely about gifts! What are you registering for? Let’s open gifts at the shower! 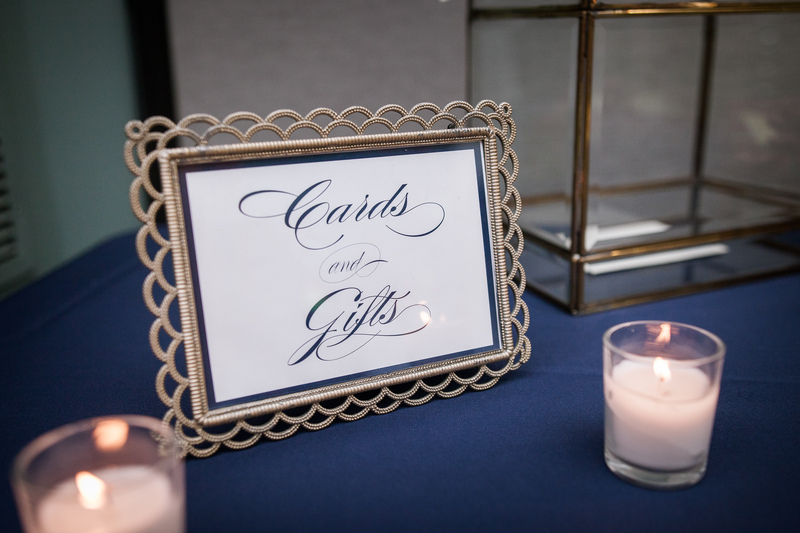 What kind of card box are you having at the reception? Like so confusing! 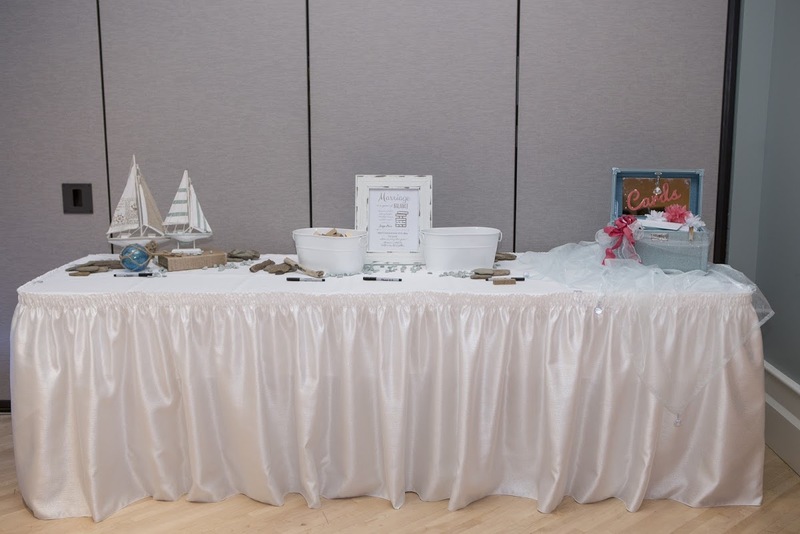 Do we have to open gifts at the bridal shower? Ultimately, the decision is yours, but read on and see both sides of the coin. What are some of the benefits of opening gifts at the shower? Well, you get to open presents!!! I’m not ashamed, I’ll say it, I LOVE opening presents. I’m probably a little too jazzed about the whole present thing, but it’s just so exciting to think someone spent time, energy, and cash to think about something you would like. You as the giftee also have the opportunity to thank the gifter in person, which is also a nice gesture. (This is not to say you are free to not send a handwritten thank you card. That still needs to happen). It also is a natural bookend to the event. You open gifts and you start going home. It’s tradition and what people expect. But why wouldn’t you open gifts? Well, because you open gifts! Gift receiving can be a kinda personal thing for some people. Especially if you don’t have a good poker face and don’t like the gift…people can read that on your face. And after about the 15th, “thank you so much!” things can start sounding not as sincere. It can also make it awkward if double gifting happen and can make the gift giver feel bad for duplicating. For guests the present opening part can be boring because, well, they aren’t opening gifts. Solution? Make a game out of it! Bridal shower Bingo! Mix up scorecards with things like, pillows, blanket, bath towels, kitchen towels, pots and pans, baking sheets, etc… and have prizes! Play as many games as needed until all the presents are opened. One note though, if you’re planning on not opening presents, let guests know that ahead of time, or at least have a sign on the gift table. 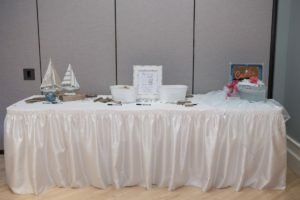 Fill the party time with more games or other interactive things to keep the flow going and not have an awkward lull where someone suggests, “Let’s open presents!” With a little planning and forethought, you can have the bridal party experience you want and one your guests will really enjoy!